Peak limiting and clipping is used to make music seem louder, but does it really work that way? No - removing the peaks actually reduces impact and brutality and makes it sound flat and boring. 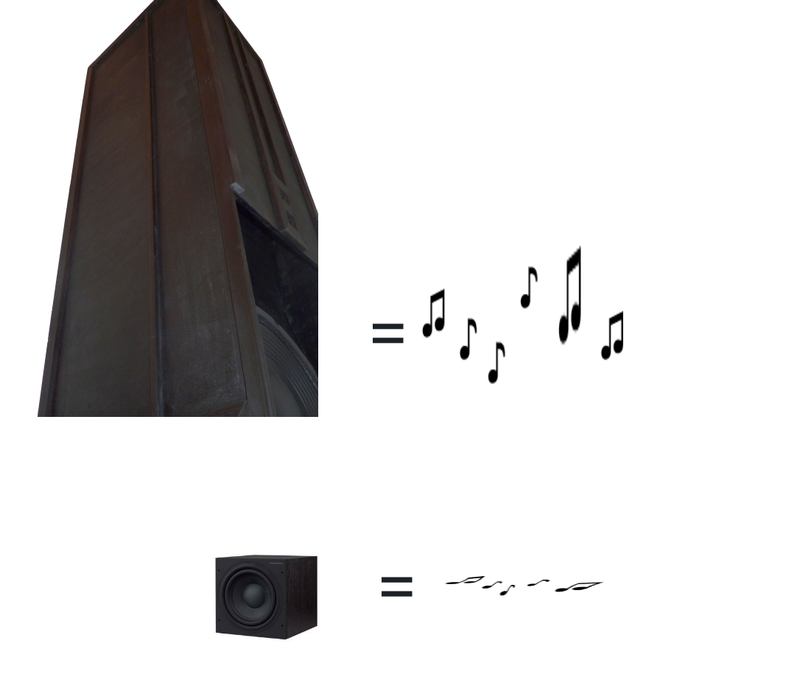 Typical sources of peak limiting in audio reproduction are loudspeakers and power amplifiers. This can obviously easily be avoided by turning it down a bit, or get larger speakers with better sensitivity. Music can also be destroyed in the production process, where removal of peaks using brickwall limiters is more common than not today. Dynamic compression, brickwall limiting and peak clipping in music is well known today as the Loudness War. The kind of signal processing used causes loss of transient peak amplitude and adds distortion. Upon visual inspection one can see that the limited waveforms are clearly changed, and it may be difficult to understand why this is not also very easy to hear. But the loss of signal amplitude happens in a very short period of time, it is not necessarily easy to detect unless you know what to listen for. 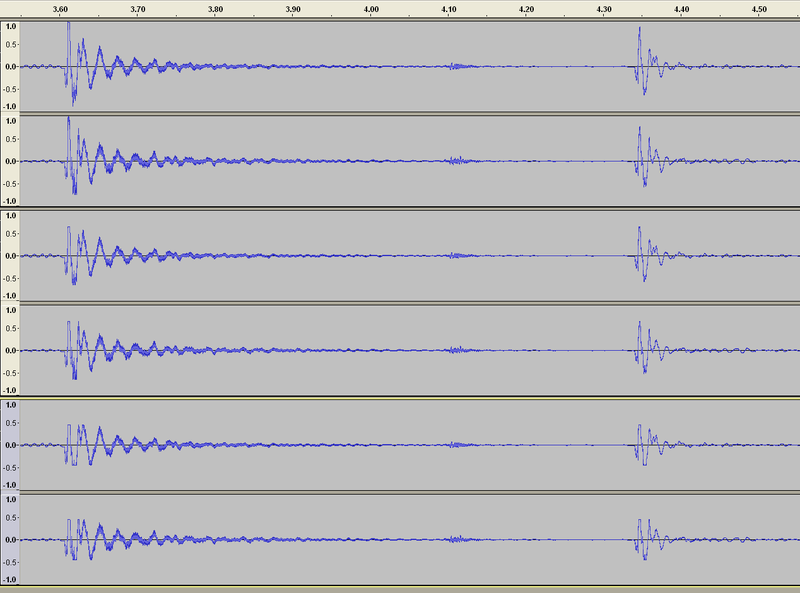 There is no apparent change in overall sound level, and the tonal balance is not changed at all. A music signal with very dynamic and transient content - mostly drums - is processed with a limiter to create peak limited test signals. Three different test signals were made - original, -3dB limited and -6dB limited. The original and the distorted signals are ABX-compared listening on headphones and on the big system. The less -3dB limited signal was difficult to distinguish from the original, and the difference was perceived as more noticeable when playing reasonably loud on loudspeakers. The difference was noticeable also on headphones, the limited signal seems slightly flatter sounding on the loudest drum hits. On loudspeakers there was a barely noticeable loss of physical transient impact. For the heavily -6dB limited signal differences could be verified as audible even when not playing very loud, there was distortion causing a reduction of clarity and perceived sound quality. On loudspeakers there was a clearly noticeable loss of physical impact. The less -3dB limited signal was difficult to distinguish from the original. When looking at the waveforms the signals are clearly different, but when listening the differences are not so easy to detect reliably. Even the -6dB limited signal could pass unnoticed if there was no original reference to directly compare it against. Also, the reproduction equipment - mainly speakers - must be able to reproduce the transients without additional distortion. The combined results from this limiting test and the phase distortion test indicates that it is possible for such errors to be introduced unnoticed in the music production process - they simply can not hear it. The important part is that the severity of the transient distortion depends on how you listen. When sitting down to really enjoy your favourite music, you turn it up, and that is when the lack of life and dynamics is most apparent. Loud music production style utilizing heavy compression and limiting has several other negative effects on sound quality. The negative consequences of lost transient impact investigated here is only one part of the destruction.